You are here: Home / Business / VW and Ford Sign Global Alliance – Will we see an AmaTransit? MyPE’s proposed name for a potential child of the Ford and Volkswagen Alliance certainly has a nice African ring to it – AmaTransit! 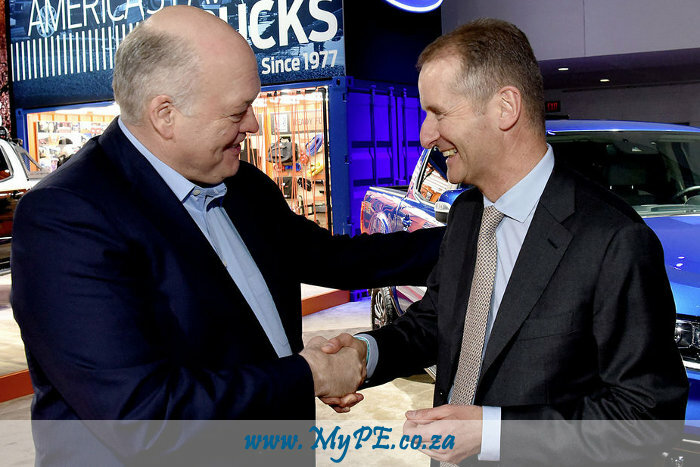 Volkswagen CEO Dr. Herbert Diess (right) and Ford CEO Jim Hackett confirmed today that the companies intend to develop commercial vans and medium-sized pickups for global markets beginning as early as 2022.